Link2SD is a very popular application manager that can do many things besides moving apps to SD Card. Just like App2SD it also requires ROOT access and secondary partition on the SD Card of your android phone. 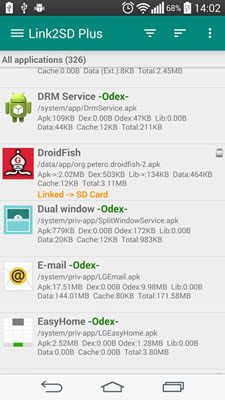 Link2SD app manager has tons of features that include moving apps, uninstall apps, clear apps cache, batch operations on apps, link apk, dex and lib files of apps to SD card, link internal data of apps to SD card, link external data and obb folders of apps and games to SD card, link dex files of the system apps to SD card, force move apps, reboot manager, convert user apps into system apps and vice versa, share apps, create shortcut for apps and more. You can upgrade to Link2SD Plus to remove the annoying ads if you want. APP2SD Easy is a free and very easy to use App2SD app that does not require Root access or permission. This is a simple app and it can be used to move apps to SD card. 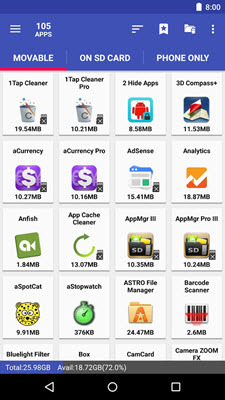 It shows various statistics that include the total, used and available memory for the internal storage and SD card and number of apps present on your android phone. 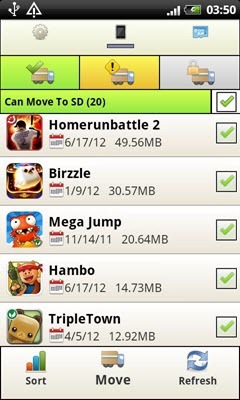 APP2SD Easy can also be used to clean cache, uninstall apps and optimize memory of your phone. So if you want simple and easy to use app2sd app then you can definitely try out this one. All-In-One Toolbox is a junk cleaner, app2sd app and app & file manager app for android devices. This app includes Junk Cleaner to remove all the useless files and cache on your phone, Speed Booster to speed up your phone, App Manager, File Manager and Notification Manager. 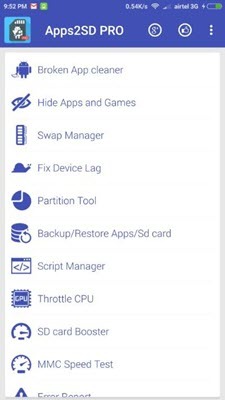 App Manager performs functions that include App2sd to move apps from internal storage to SD card, uninstall apps, backup & restore apps, batch installer and uninstaller, system uninstall and boot speedup. This App also includes a unique feature known as One Touch CPU Cooler which can be used to decrease the temperature of CPU by closing unnecessary processes. At the end I would like to say that by using these App2SD apps you can move your apps from internal phone memory to SD Card and free up considerable amount of space on your phone’s internal memory. If you have any queries regarding them then you can ask me by leaving a comment below.